Hint: You'll feel more in control, more productive, and more powerful. 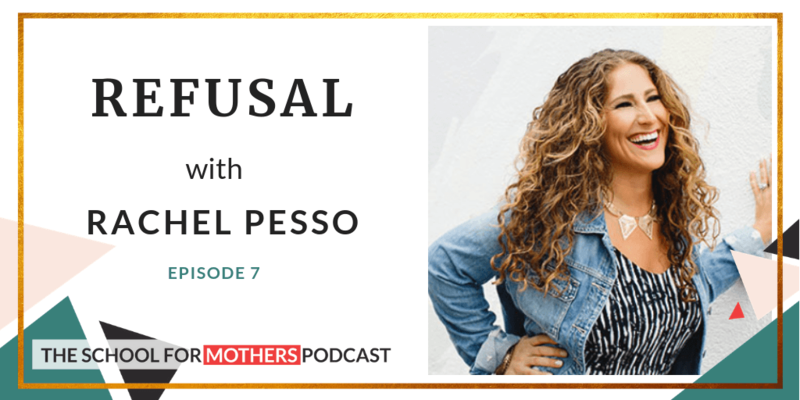 In this week’s episode entitled, REFUSAL, Danusia and Rachel open up a conversation on the subject of not wanting to become a mum. 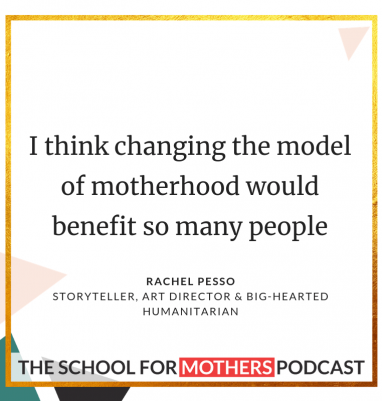 Rachel Pesso is a storyteller, art director and big-hearted humanitarian, who helps incredible, passion-fueled entrepreneurs and companies make a massive impact on this planet with their big dreams, and even bigger hearts. She designs beautiful websites to showcase big visions. Recent clients include Kim Anami, Laverne Cox (Orange is The New Black), Jadah Sellner, and Heather Ashamara. Like what you hear? If SO, be sure to subscribe to the School for Mothers Podcast on iTunes. Or Stitcher. Or Google Play. If you’re feeling extra kind, SFM would be really grateful if you’d leave a review over on iTunes, too. These reviews help other mamas find the podcast and they’re also fun to go in and read. Just click here to Leave us a rating + review!, select “Ratings and Reviews” and “Write a Review” and let me know what your favourite part of the podcast is. Thank you! Use the hashtag #SFMpodcast to join the conversation on social media. Want to join Danusia on a future episode? Get in touch using the form HERE.